Custom rebuilt and remodeled by a local architect in 2006. This beautiful home has been very well maintained and shows like new. It is located in a great neighborhood just minutes from major routes, shopping & MBTA commuter rail. 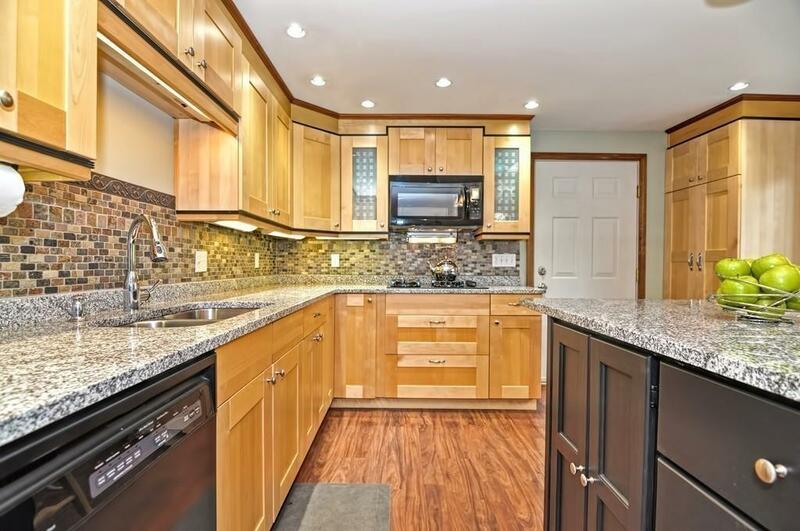 Kitchen is quipped with gas cooktop, double ovens, granite counter tops, center island and breakfast bar. Dining area, family room, home office and living room with fireplace and custom accent wall on first floor all with hardwood floors. The two-story foyer leads to 2nd floor with master suite, custom walk-in closet and full bath in addition to two big bedrooms, laundry room and another full bath. All bedrooms, hallway and staircase also hardwood floors. Gas heat, central air, 2-zones. Formal living room on first floor can easily be converted to a first floor bedroom. Awesome outdoor living area with big fenced-in yard, nicely landscaped corner lot, large composite deck, patio, and two sheds.